Fancy working with balls and sticks? 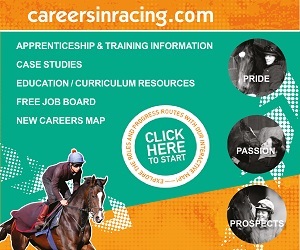 A job in polo is a great career option which is exciting, fun and very sociable. BGA membership is for polo grooms too and the personal accident insurance based memberships are very popular, especially amongst freelancers. For cover from just £11.35 per month, we challenge you to find a more affordable bespoke grooms policy. If you already work in polo have a look at the membership benefits and then join the many other polo grooms who are BGA Members. Do I need to be able to play polo to be a polo groom? No you do not need to play polo to be a polo groom. 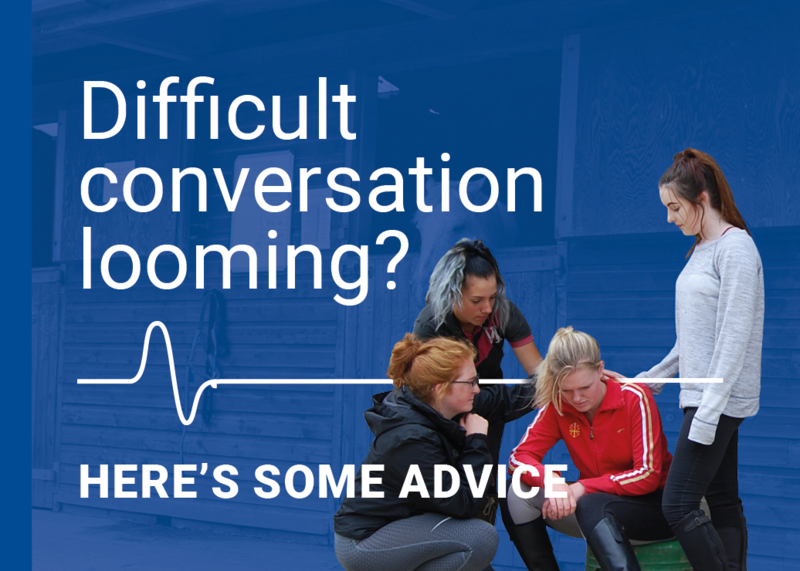 Some of the good grooms don’t actually play themselves, but quite a lot of employers encourage you to learn to stick and ball as this helps with training younger ponies and understanding the work involved to make the ponies winning ones. Does it matter if I know nothing about polo but I am a brilliant groom? Not at all, most yards will take on grooms with good horse experience and will give training for the polo side. However some of the high goal yards look for some experience in polo due to their season being very short and intense. Everyone has to start somewhere - even in the grooming world. As long as you are a confident rider and love working with horses then those are the most important qualities. 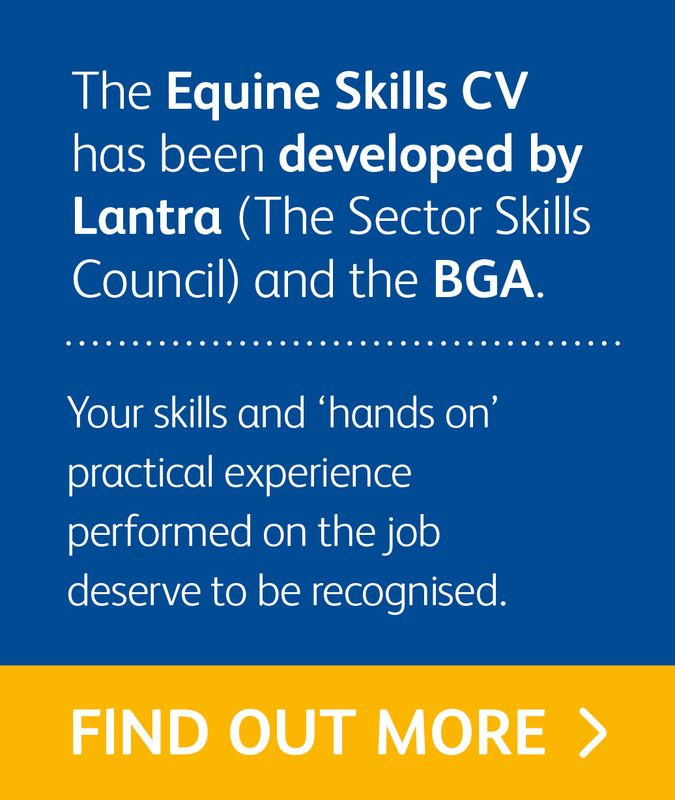 You will need to be able to ride well, but other than that most skills such as bandaging and clipping for polo can be learnt on the job. Unlike other kinds of equine sports there are a lot more polo ponies per person, but on the upside the ponies are all used to living, leading and working in groups. I don’t want to ride does that matter? It is very rare that polo grooming jobs won’t involve riding, but there are always plenty of other roles in the sport that don’t require riders, so maybe try the polo clubs for a more office based role. Do I really have to ride and lead 10 ponies? No!! You should only ever ride and lead the number of ponies you feel safe with. Some clubs will have restricted numbers that can be lead on their tracks but it isn't unusual to see grooms ride one and lead four. What is the day to day work like? Day to day work can vary depending on what kind of polo yard you work on. If you are a polo school it will be very different to working for a professional player or a patron. Essentially day to day work will include exercising ponies in what the polo world calls 'sets' when you ride one and lead other ponies. General yard duties; if your ponies live in then mucking out, feeding etc or checking fields and haying out. 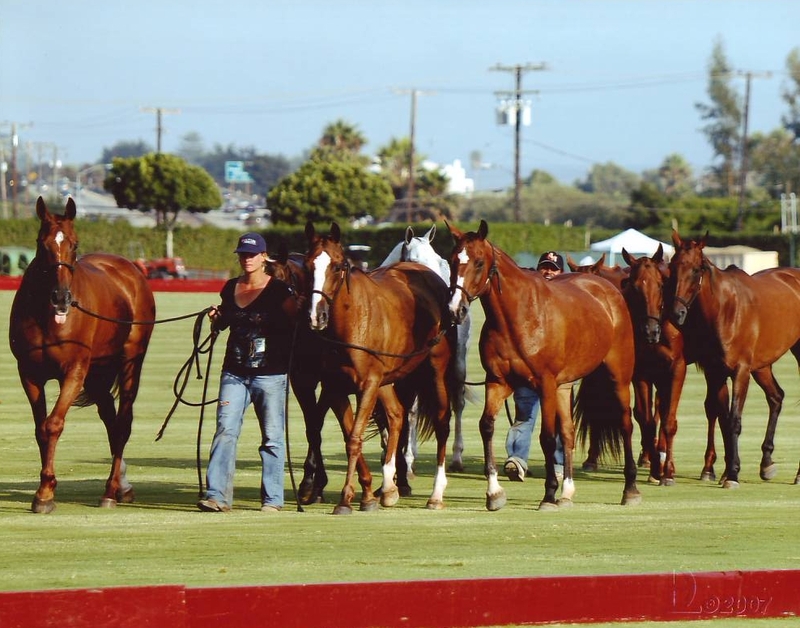 Polo days will be a little different and may include travel to the polo club grounds, so preparing your ponies for polo, travelling by box then tacking up, warming up and changing ponies through the game. What are the ponies like? The ponies will vary depending on who you work for, professional playing ponies tend to be more thoroughbred types that need quite a bit of riding and care, but then the patrons ponies can be much more sedate, and the school ponies are the best characters - they have all been there and done it before. Polo ponies are amazing - they play their game, they travel, they ride and lead and they do it all with pretty chilled outlooks on life. What is the pay and hours like? Pay will always be dependent on experience and other factors, like if you can drive an HGV or if you need a car and accommodation but you should always discuss your wage expectations with your potential employer. Hours are varied - much like the day to day work, it will depend on what kind of yard you are on and when polo is played. However, most of the polo world people work when there is polo, and when there isn’t polo it’s much more relaxed. So a non polo day you might be done by 10am, then you only have to worry about evening checks and stables. But on polo days you might have to travel a few hours for an evening game and not make it home until 10pm. Lots of jobs come with accommodation, but its best to ask your potential employer about what they can offer and what you need before you accept a job. Is there much opportunity to travel? Very much so you can travel all over much of the UK, Ireland and the world ....USA, New Zealand, Australia, Argentina just for example. It’s an awesome way to travel! Very sociable! Start of season parties, balls, end of season parties and many ‘asado's’ (Argentine BBQs). Is it all Argentinean grooms or are there British ones too? There are grooms from all corners of the world. Polo is a global sport and like the players some of the grooms travel around the world too. You wll find grooms from South America, Africa, Australia, New Zealand and from all over Europe. Will I get employed by the yard or will I be a freelancer and work on many different yards? Some yards do employ grooms all year round usually if they are a club or are professionals/ patrons. Some yards are just for the summer months, the grass season. Some grooms do freelance, for example in the Windsor area there is a good business grooming at matches and truck driving to games especially during the high goal season (May to end of July). On the BGA Job Board and there are Facebook groups that are for polo grooms or potential polo grooms wanting work. Polo times magazine advertise and some polo clubs put on their websites members looking for grooms. What is the best thing about working in polo? The sport it is a very friendly community as it is a small industry. The ponies, although often you have a lot of them, are well behaved most of the time. and the fun you get. it is a total team game both on and off the field - a game is won by the hard work put in off the field as much as on it! For more information on polo visit The Association of Polo Schools and Pony Hirers (APSPH) or the Hurlingham Polo Association.